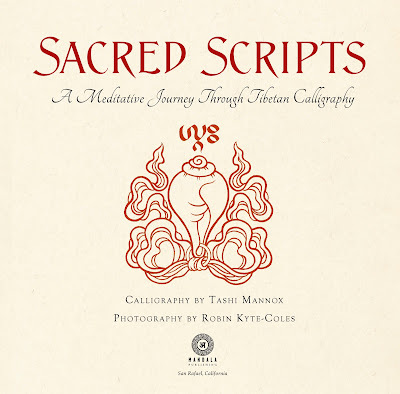 This new publication Sacred Scripts - A Meditative Journey Through Tibetan Calligraphy, is the collaborative output of Tashi Mannox and Robin Kyte-Coles. 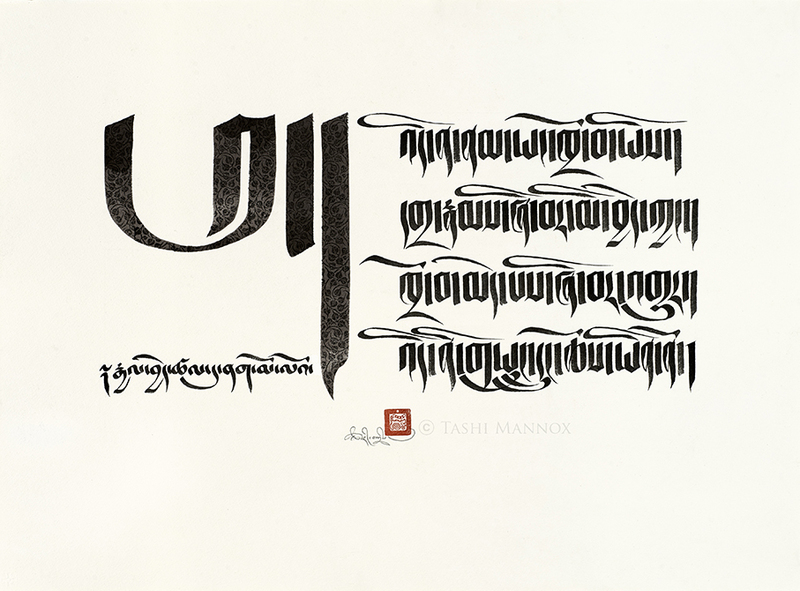 Mannox, one of the world’s foremost contemporary calligraphy and iconography artists, spent two decades as a Tibetan Buddhist monk. Kyte-Coles, a distinguished photographer specialising in images of the Buddha, has travelled the globe in pursuit his sacred subject matter. In this beautifully presented 156 paged book, they have consorted to bring their art under one roof. It endeavours to give insight into the wealth of Buddhist wisdom and to explore the ancient and diverse writing system of Tibet, whilst making its own modest contribution towards this tradition’s continued preservation. 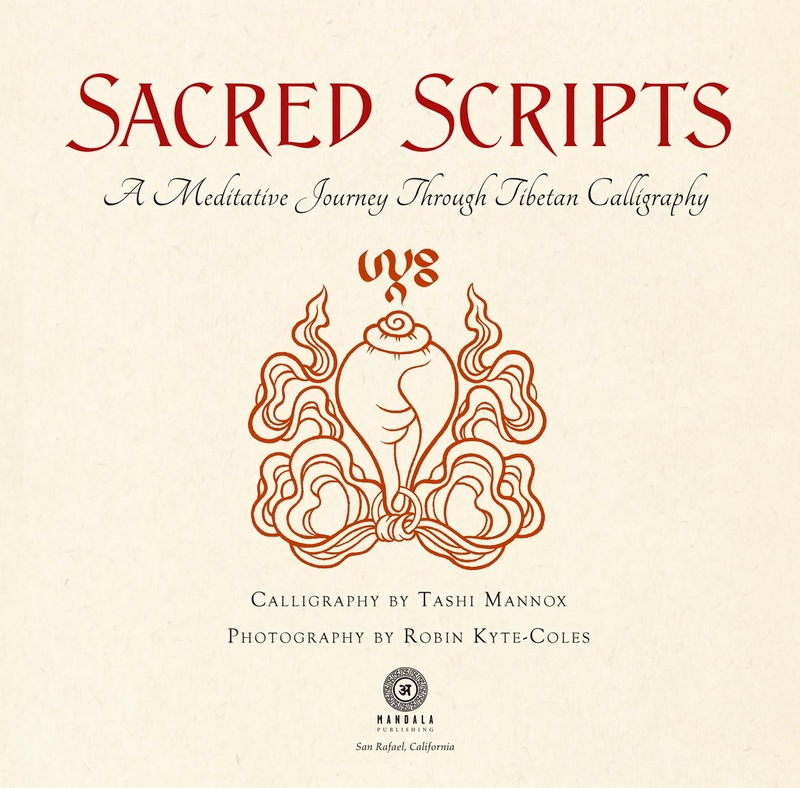 You may also catch up with Tashi on 23rd October book signing, talk and calligraphy demonstration at the Jacques Marchais Museum of Tibetan Art, Staten Island, NY. In the U.K. A premiere exhibition of the original calligraphy works that feature in the book will be shown at The Table Hay-on-Wye. 23rd Nov - 3rd December 2016. He will explain the historical and contemporary sacred integrity of Tibetan Calligraphy and mark-making, and how to unite heaven and earth through the creative process of spiritual practice in art - as a means of liberating the mind. To book a place on this limited numbered workshop, please visit the Hay Festival website here. Tashi will also be present during the exhibition at the Table for special edition book signings. *an ensō is a disciplined-creative practice of traditional Japanese Zen ink painting, a circle that is hand-drawn in one uninhibited brushstroke to express a moment when the mind is free to let the body create. 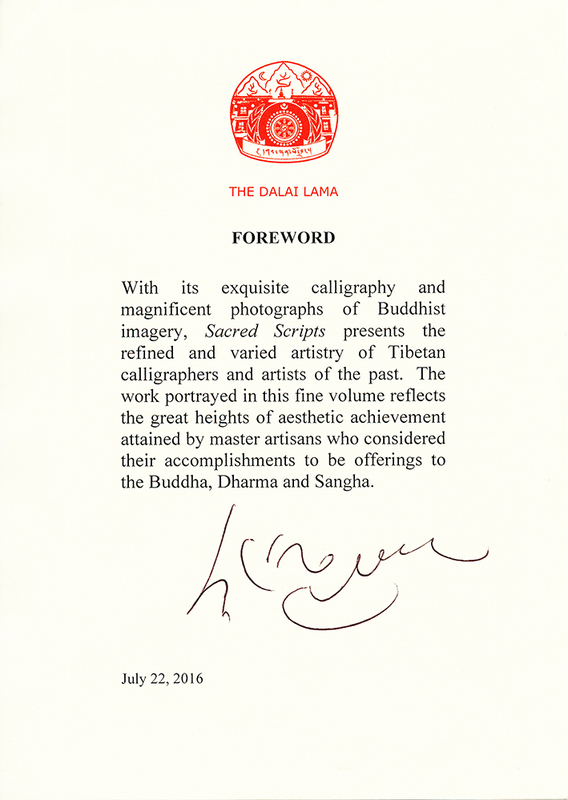 A prime selection of the calligraphy artworks that feature in the book are available as limited edition gicleé art prints. Please visit the website here to order a print. “For hatred can never put an end to hatred; love alone can. As spoken to Kali in the Jetavana Grove, The Darmmapada. Short tailed Tsutung script with a large bodhi leaf decorated heading character.